Do you have your local pizza delivery store programmed into your speed dial? You may be the ideal candidate for a home pizza oven. 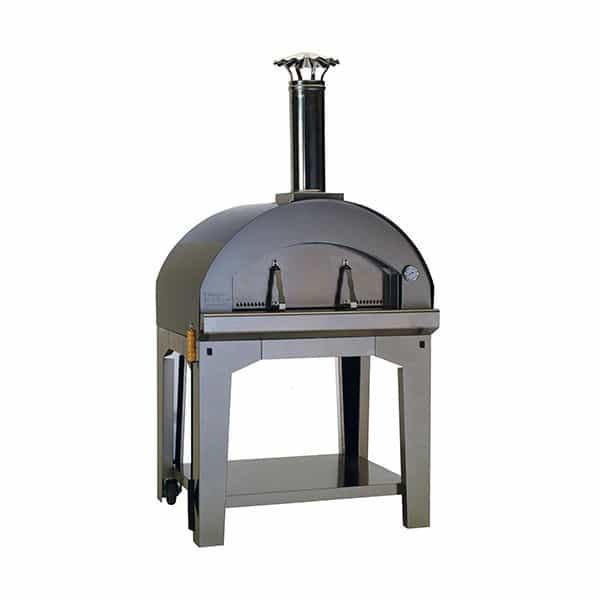 Bull Grills uses the best materials for outdoor placement, plus the best components to cook pizzas to perfection. The Extra Large Pizza Oven Cart features the largest oven head coupled with a lower cart. The outdoor pizza oven stands on its own and is mobile for convenience. The pizza maker is constructed in Italy, the masters of pizza! The oven is made with 441-grade stainless steel, and uses a solid weld construction. The Extra Large Pizza Cart has a rock-based insulation, and cooking stones that are food-grade for cooking. The oven runs on fire, but only takes 10-15 minutes to preheat. Use the lower cart to store wood and kindling. Say goodbye forever to your pizza delivery boy. Then, you can say hello to better tasting, healthier and faster pizzas.